DO Ты think Zere is evil? Do Ты think that Zeref and Mavis would make a good couple? Do Ты believe that Zeref is the biological father of Natsu? Do Ты really think Zeref turned Acnologia into a dragon? When do Ты think will Zeref come back? In order to become an S-Class Mage, Elfman and his partner, Evergreen, continue to participate in the секунда trial. However, they find it difficult due to the island's strange and aggressive creatures. As they are being chased by a wild beast, Elfman and Evergreen fall down a холм, хилл and finds a strange guy. Elfman and Evergreen are confused with the guy's appearance since only members of the guild are allowed in the island. Zeref was сказал(-а) to have been the darkest, most evil Mage in the history of the Magic World. He lived up to this reputation by mastering the Black Arts of Magic and creating demons, which continue to wreak havoc. a comment was made to the poll: DO Ты think Zere is evil? a comment was made to the poll: Which of these Zeref's magic Ты like the most? a comment was made to the poll: Which demon of Zeref's Книги do Ты prefer ? 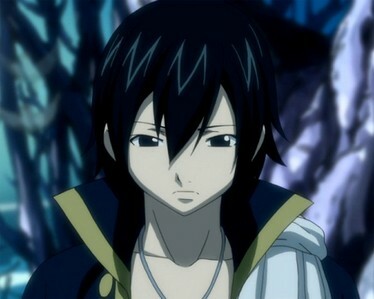 In what episode did Zeref first appear?